The lesson this week in our math curriculum was about using number lines to solve subtraction sentences. I believe that number lines are an invaluable tool when teaching students to add and subtract. Students learn so much from using a number line, but do not always know the proper way to use it. I created this game, The Number Line Hop, to teach children the proper way to use number lines when solving addition and subtraction problems. The first version of The Number Line Hop looked like the photo above. It was simply a series of 15 blank squares and I asked my students to create their own number line beginning with 0 and ending with 15. I felt it was important that they “see” the way a number line is created. It was also a time when I could assess their number writing skills and their counting skills. We talked a lot about writing the numbers the correct way (not reversed). Not only was this task informative for me, but my students loved the chance to create their own game board. Once the boards were complete, we talked about how to use the number line properly. The biggest message I wanted to get across was that when you use the line you begin counting at the NEXT number not the one you begin on. Beginning on the number they are on is a very common mistake with first graders. After the demonstrations, I partnered the children up and sent them off to play the game on their own. 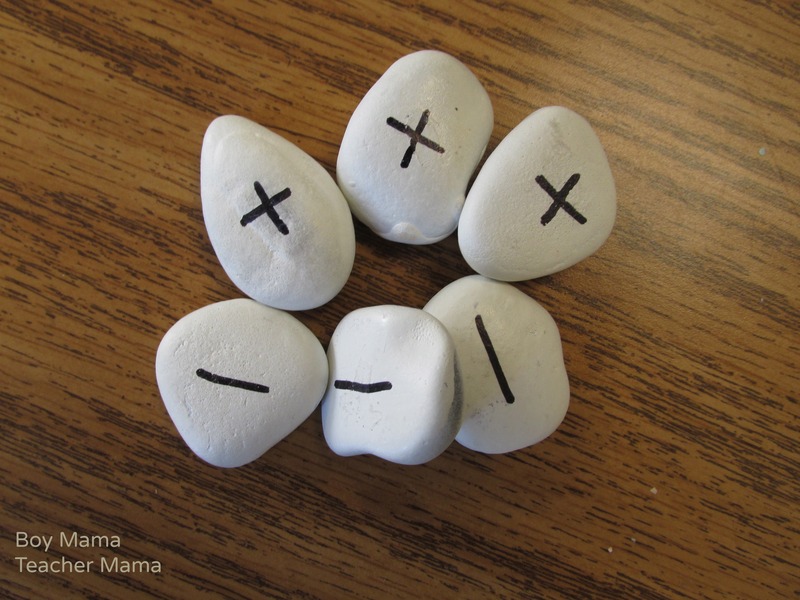 Materials: a number line game board, one frog piece, a die and an addition/subtraction rock. See the photo below. Playing Pieces: For the frog pieces, I downloaded one of my very favorite printables from Picklebums. I shrunk the frogs a bit, copied them onto card stock, laminated them and cut them out. 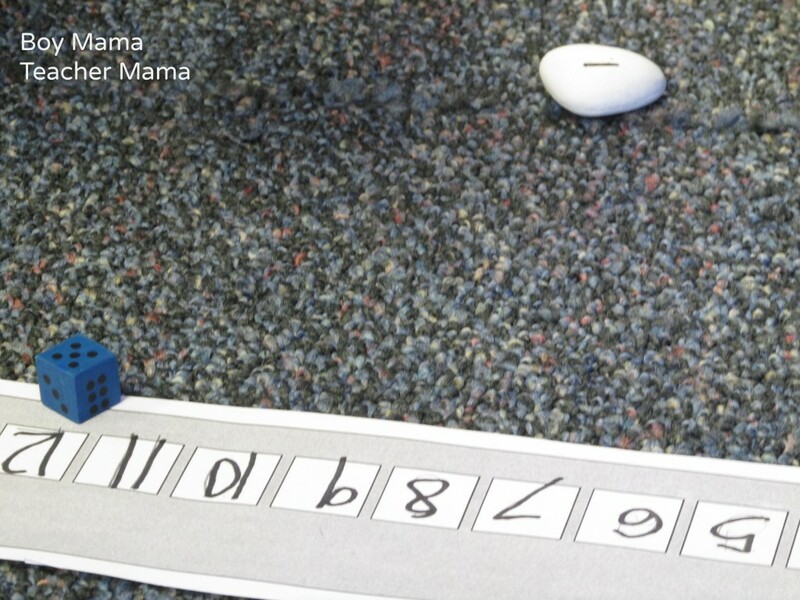 To Play: Students place the frog playing piece on the number line (they can start anywhere). Player one tosses the +/- rock and rolls the die. He then goes + or – that many spaces on the number line. For example, if the frog playing piece is on the 7 and the player rolls a 5 on the die and the rock lands on -, that player moves the piece minus 5 spaces being sure to move properly along the line. Player two then does the same. There are no winners or losers in this game. 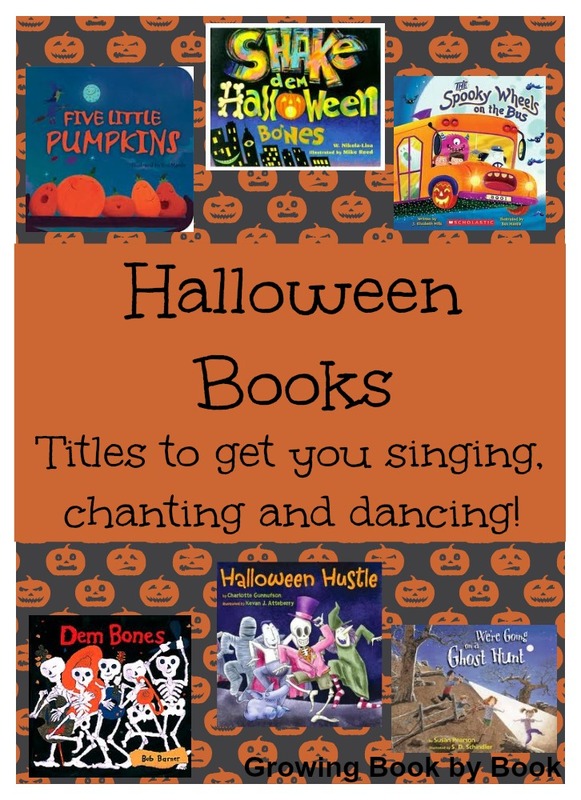 It is simply meant to give students practice using a number line and for them to have fun doing it! Note: If the frog is on the 0 and the player tosses the rock and it lands on the – side, he simply waits to try again on his next turn OR can try tossing it again to get a +. I intended to keep the student’s number lines at school so they could play with them a few more times before sending them home, but they loved the game so much and insisted on taking them home that day! I still wanted to have the game in the classroom, so I created a few boards that I will laminate and keep with our other math games. Here is what my version of the game looks like. I created blank boards for students to create themselves. And I created boards that are already numbered. There are 3 versions: 0-10, 0-15 and 0-25 for varying ability levels. 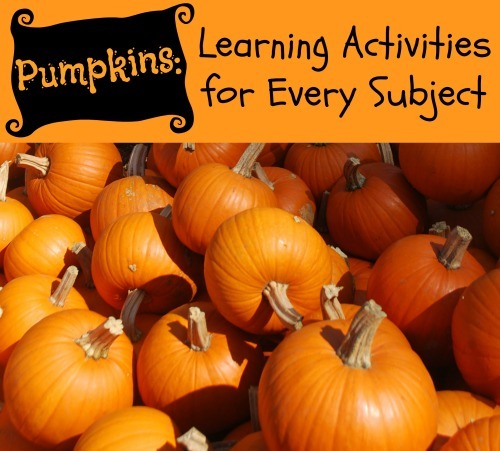 A plethora of ideas for using pumpkins for learning. I love this post! My daughter is doing pretty well with basic math, but subtraction gets her stumped sometimes. This will be a fun game for after school!